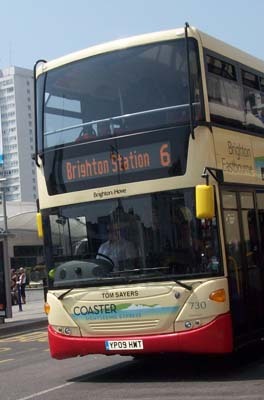 Connections with Brighton and Hove : Tom Sayers was a working class hero who became one of the best heavyweight boxing champions in the world. He was born in Tichborne Street, Brighton, then part of a slum area called Pimlico, in 1826, the youngest of five children. He was educated at Middle Street School. Sayers started to box while employed as a bricklayer working on the London Road viaduct in Brighton. 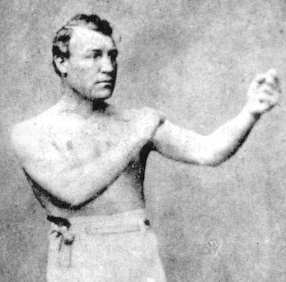 He began his career in 1849 and won the heavyweight title of England in 1857, defeating William Perry. Small for a heavyweight, he stood five feet and seven inches high. His weight was only 11 stone. When in 1860 he fought the American, John Carmel Heenan, for the world championship, Sayers gave away six inches in height and 42 pounds in weight. He seemed to have the advantage after 42 gruelling rounds lasting two hours and 20 minutes but the fight was ended then as a draw. 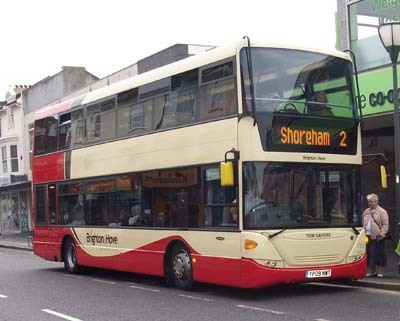 Sayers’ supporters raised £3,000 so that he could retire in comfort but his finances and health declined. He died aged only 39. Huge crowds lined the streets on the route to Highgate Cemetery for the funeral procession. 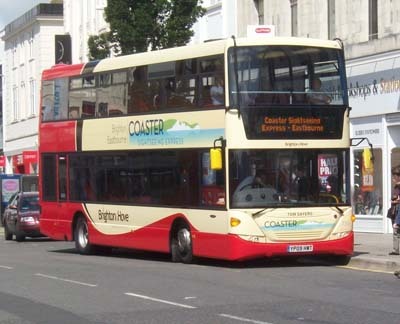 730 Scania Omnicity - carried name since delivery in June 2009 in Coaster Sightseeing Express livery, branding removed September 2009. 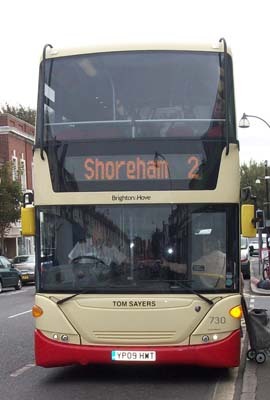 Bus sold in June 2018.